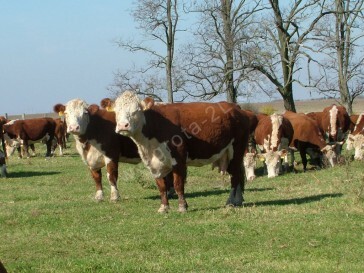 Hereford cattle is originally from the county of Herefordshire, situated in West England. 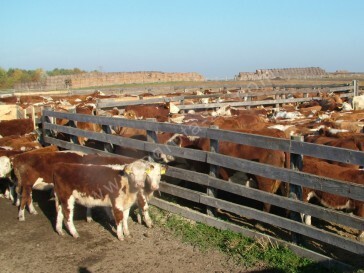 The export trade of the cattle begun from United Kingdom, and it spread all over the World. 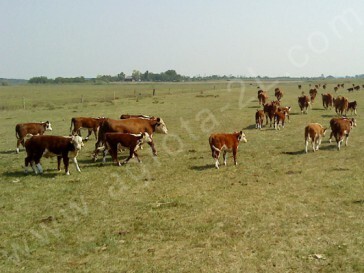 Hereford is one of the most widespread beef cattle with a small body frame. 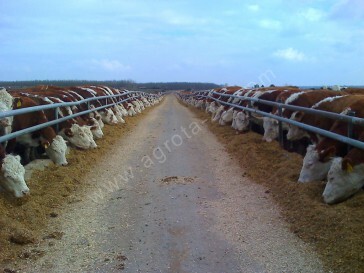 Hereford cattle may weigh between 500-600kg. 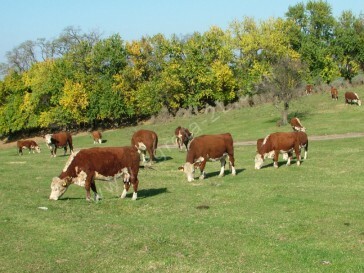 The modern Hereford is coloured deep cherry red and fleckled with small amount of white. 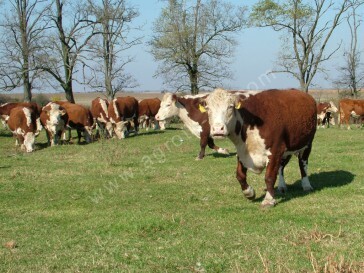 The white face of a Hereford is a dominant characteristic, and also recognizable about the white markings on the udder, dewlap and below the knees. 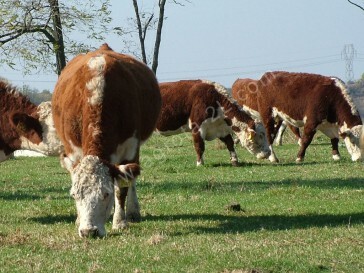 The udder of a Hereford is quite wide and deep. The back is also wide, straight and muscular. 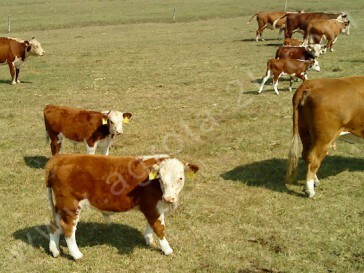 Hereford has quite small legs. 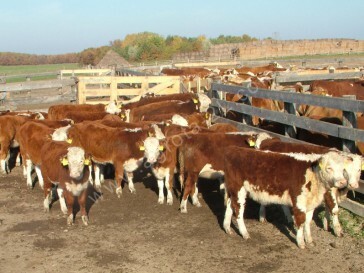 Herefords valued for their early maturity, which means Hereford females reach puberty by the time they are 14 months of age, so breeding begins at age of 14-16 months, and another important good quality that they are also appreciated for easy calving ability. 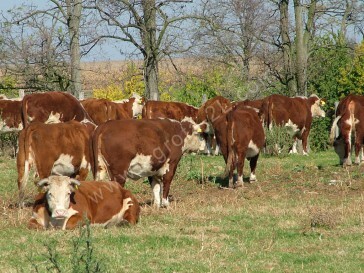 Herefords begin producing tallow early, and they store it mostly in the abdominal space, and under their skin. 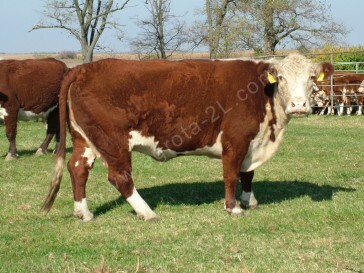 Herefords are one of the most highly adaptable breeds of cattle in the world, and provide an excellent meat quality. 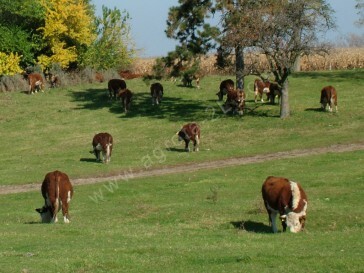 They can survive on a low quality pasture, so Herefords are good for territories where the climate is extreme, and for other cattle the area would be unsuitable.